There should be more brûlée in the world. Creme brûlée makes egg custard great, so it makes sense that it would make fig cupcakes even better. 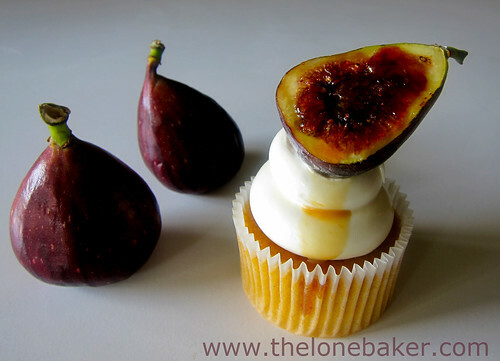 Check out The Lone Baker's post on brown sugar and how to torch some figs. Figs are one of my favorites, these look fantastic.